This list has been updated for 2019, complete with new smartwatches for kids. Smartwatches aren’t just for adults. Children can get in on the fun too. Of course, you wouldn’t want to hand your child a $200+ smartwatch in the hopes that they would take excellent care of it. Luckily, there are watches specifically designed with kids in mind. They feature games and fun activities, colorful designs, and durable materials. 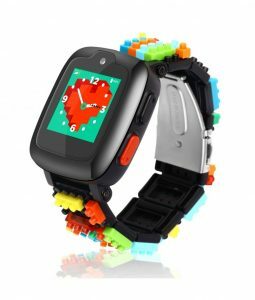 If you’re looking for a smartwatch for your child, then this is a great place to start. Below are eight smartwatches made especially for kids. 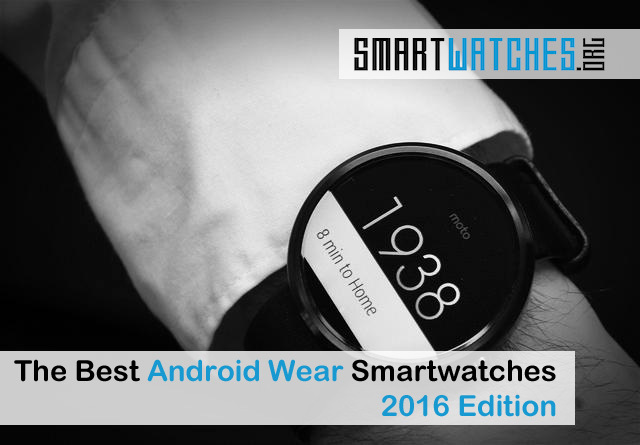 Please keep in mind, this list will remain exclusive to smartwatches for kids. 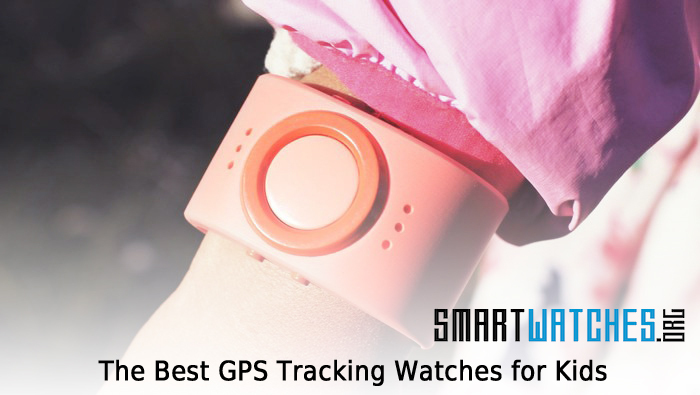 If you’re looking for a GPS tracker head on over to: The Best GPS Tracking Watches for Kids. 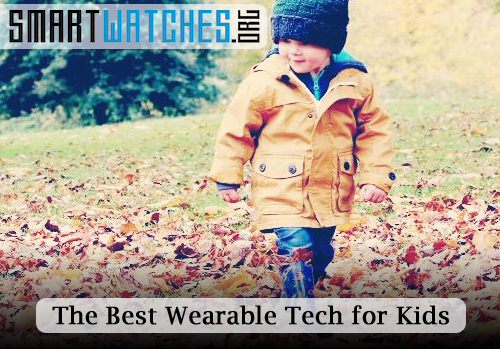 We also have another post that discusses the best toys for kids: The Best Toys and Wearable Tech for Kids. UPDATE: See our 2014 Holiday Shopping Guide where the Kidizoom made our top pick for the best smartwatch for kids! 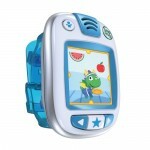 The VTech Kidizoom was one of the best smartwatches for kids ages 6-12. The Kidizoom DX was updated to include a variety of new features, like more memory and fun activities. Then the DX2 was launched with – you guessed it – even more stuff! We still recommend all three generations, though the older ones may be harder to find. The Kidizoom does not act as a location tracking device. Rather, it is a full featured smartwatch. 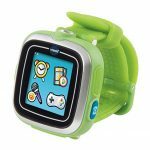 The VTech Kidizoom features a 1.4-inch color touchscreen display, with up to twenty different watch faces for kids to swap out. In addition, it includes dual cameras with selfie and video recording support, a voice recorder, and a ton of educational games. A USB port allows parents and the child to transfer photos and videos to a computer. Plus, it’s splash proof. Sadly, that doesn’t mean waterproof so you can’t go swimming or hop in the shower with it on, but it can withstand a bit of moisture like rain or sweat. The original models are still available too! The Garmin VivoFit Jr 2 – and the original too – are designed to be fitness and health trackers first, so keep that in mind. That said, they do offer a great selection of features for kids and parents too. For example, the always-on color screen can be customized with a variety of themes including Batman, Disney, and even Star Wars. This is an upgrade from the original, which only had a black and white display. There are educational mobile games and activities – which sync with the device via a mobile app. There are also step challenges and personalized goals which can be set by parents too, so you can make sure your kids are staying active. Parents will receive alerts for everything happening, including when their child reaches a goal. You can even assign your kids chores around the house and the device will make sure they get done by sending reminders and alerts. If you decide to get multiple bands – for additional kids – you can track and monitor them all within the same mobile app, which is super convenient for larger families. 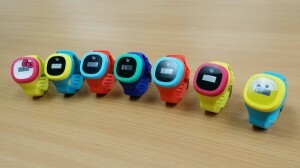 Developed by KD Interactive, the Kurio Watch 2.0+ is a Bluetooth smartwatch made just for kids. 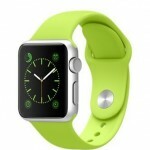 It comes bundled with two interchangeable bands, each separate colors. The device is made for older kids who can be trusted with mobile access and messaging tools. It includes a messaging app, two-way calling and support to connect directly to a parents’ smartphone. It uses an Bluetooth connection to access other services so keep that in mind, you’ll need to have a phone nearby. Kids can play single and multi-player games, message friends, take and edit silly photos with the front-facing camera, and play music. 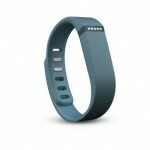 Other features include a pedometer, activity trackers, alarm, stopwatch, calculator, calendar tool and more. It’s also waterproof which means it can handle moisture and spills. One of the coolest features of the Omate x Nanoblock is the band includes a lego-like design which you can customize with a variety of multi-colored blocks, hence the name. The watch itself comes in two colors, white and black. It offers two-way video and voice calling, as well as GPS tracking support so you can keep an eye on your kid(s). You do not need a SIM card so you don’t have to worry about buying one. It uses a magnetic USB charger and the battery will last for up to four days on a single charge, depending on usage. Additional features include a pedometer, alarm, front selfie camera, photo gallery and editing tools, and SOS alert mode. When you purchase the watch you receive six months of service free, after which you’ll need to subscribe and pay. Head on over to Omate’s shop if you want to buy one. 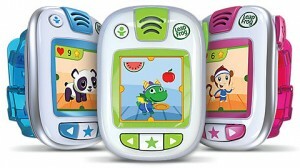 The Leapfrog Leapband is a kid-themed smartwatch designed for children aged 4-7. The idea behind the device is to curb the growing obesity problem by encouraging kids to get active. It’s first and foremost an activity tracker that promotes “healthy habits” in children through the use of educational and fun games. Kids get to choose a “customizable pet pal,” similar to the classic Tamagotchi’s. There are eight different pets to choose from including a unicorn, robot, dragon and more. The manufacturers call the Moff a “wearable smart toy” for kids. Essentially, it helps fuel a child’s imagination by providing sound effects while they play, and simulating movement. For example, a child can pick up a broom and start playing it like a guitar, all the while the Moff smartwatch sounds off with guitar chords and a cheering crowd. The band connects with a smartphone and can be controlled through a companion app. According to the official Kickstarter page, there will be hundreds of different options so children will always be able to have fun with the device. The Moff doesn’t include a touchscreen, or any GPS tracking features. Rather, this smartwatch is designed with a classic slap-band so children can easily slip it on or off their wrist. It also uses a regular watch battery, which means it will last for quite some time — and requires no charging. 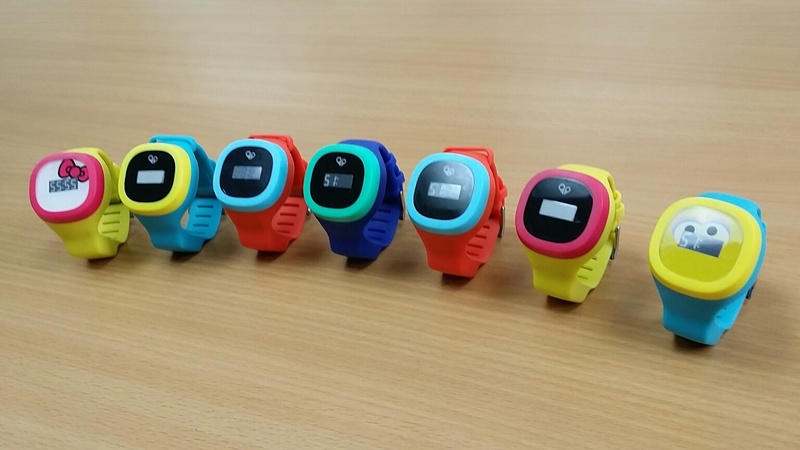 This kid-friendly wearable was successfully funded through Kickstarter. Similar to the Kidswatcher, the hereO watch is a rather innocuous tracking device. It comes in several styles, all of which are extremely kid-friendly. At a quick glance it looks like a normal watch with a digital clock face. However, the device can be tracked by GPS for up to 72 hours. In other words, you can keep track of your children and their whereabouts — until it runs out of juice. Because of the design, it looks just like any other kid toy or accessory. That means predators likely won’t have a clue that it’s a tracking device in the event something terrible happens. 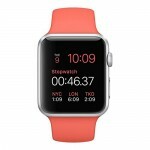 The watch will also place a tamper alert if it’s removed by someone, even the child. The alert itself includes last known GPS information of the device when it’s removed. Another panic alert will automatically send location data to a pre-programmed group of family or friends in the event of an emergency. The device was successfully funded on IndieGoGo, and costs $199. It includes the watch, charging dock and three months of free service. After that, service will cost $4.95 per month. Visit the official website for more info on ordering a hereO. Even though it says “pre-order” the watch is available and will ship soon after you buy it. 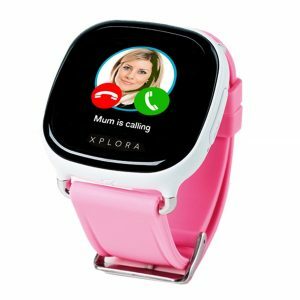 The XPLORA 3S was developed by a Norwegian startup, with a waterproof and durable design to withstand even the most active of kids. It can both receive calls and take pictures underwater — yes it’s equipped with a camera. 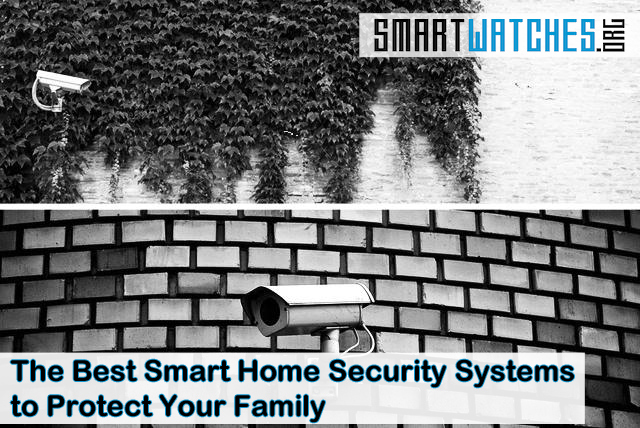 Most of the standard features are available including GPS location tracking, two-way voice calling, “safety zones” or geofencing tools and more. You can also track, interact and communicate with your children using the companion app. When you buy the watch, 12 months of service for calls and data is included. After that, you’ll need to pay a subscription to continue using the wireless features. There’s one caveat; the XPLORA is only available in the UK. As the smartwatch market continues to flourish, more options will be made available to children (and even pets). Have you bought one of these smartwatches for kids? If yes, share your thoughts on the purchase in the comments below.